1)What do dentures feel like? 2)Can I eat and drink with dentures? Eating with dentures will take a little bit of getting used to and will take practice. We advise for you cut food into small portions while you are still getting used to your dentures. Remember to chew slowly and carefully. Over time you will be able to add more bulky foods back into your diet. Drinking beverages should be carried out as normal. Be careful of solid foods such as lollies and eating poultry with bones in it. Contact us if you would like more information. 3)How long should I wear my dentures for? Your denture expert will provide instructions on how long you should wear your dentures for. For the first few days patients are required to wear them consistently, including during their sleep. 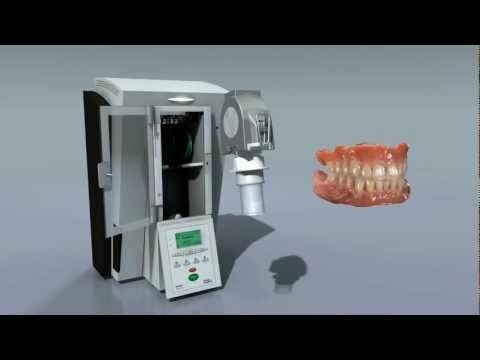 This is so your vacant dental arches can adjust to having a new fixture placed on the jaw. After the adjustment period, they can be worn less and may be taken out over night if desired. Contact us if you would like more information. 4)How long can I have my dentures for? Dentures typically last between 5-10 years. Even though your teeth are no longer present, your mouth and gums will continue to change shape for the rest of your life. Because dentures are artificial, they will not alter with the shape of your mouth and will need adjusting with time. It is still important to visit your restoration professional regularly so they can monitor any changes within the jaw. Contact us if you would like to know more. 5)Will dentures alter my speech? Often when you have lost teeth from the bottom or top of your dental arch, you will alter your speech to accommodate for this loss. When you restore your smile with dentures, your speech may alter again to accommodate for this new fixture. You may experience some lisping at first, but it shouldnt take long to re-adjust and you will be speaking and smiling as per normal in no time! Contact us if you would like more information. 6)How do I keep my dentures clean? Just like your natural teeth, your dentist will recommend that you brush your dentures every day. It is important to buy a denture brush and cleaner suitable for cleaning dentures. Cleaners are available from most chemists. Avoid bleaching your dentures, as it will discolour the pink gum line and make it appear artificial.Contact us if you would like more information on cleaning your dentures. 7)My dentures are causing sore areas on my gums, what can I do? It is quite common for a new denture to create sort spots on your gums due to new friction in the area. Simply call our clinic and we will organise a time for your dentures to be adjusted that day. Alternatively we provide implant-retained dentures to secure your dentures in place and prevent further movement. Contact us if you would like more information. 8)My dentures are causing sore areas on my gums, what can I do?